Your potential customers are most likely to click on search results that have pictures, star ratings and videos. Rich snippets are micro-data which are used to provide additional information about your product or service and give your potential customer every reason to click on your website instead of the competitor's. a. Presenting reviews next to your product information can encourage consumers who have intent to purchase, improve search engine rankings and drive customers to product pages. b. Rating dimensions can be customized from the traditional star-based assessment to more custom ratings criteria. 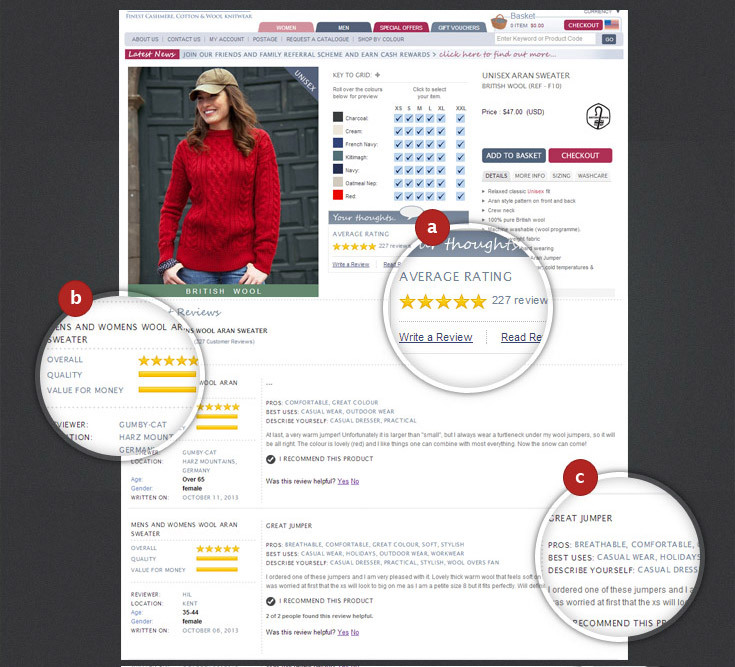 c. Customers can quickly access a summary of pros, cons and best uses, that raises customer confidence in a product.